Astonishingly good value, Morphe’s 35-pan palette contains an array of dazzling shades for achieving a spectrum of make up effects – from subtle eye-enhancement to dramatic, after-hours smoulder. With matte and shimmering shadows – from palest ivory to charcoal – this stars a myriad of sumptuous purple tones; brilliant violets sit alongside muted mauves, rich blackberries and warm, autumnal plum colours – it’s a wardrobe of beauty looks in one, convenient case. Purveyors of professional-grade make up brushes and sumptuous, 35-pan shadow palettes, Morphe will enable you to make up like a make up artist – blending your complexion, eye and contour products to perfection to achieve a flawless, airbrushed finish. The sleek, slimline palette is a favourite of professional make up artists (perfect for taking on travels), while the buttery powders blend together beautifully to achieve a seamless, photo-ready finish. This is my first Morphe palette and it most certainly will not be the last! It is very good value for money, beautiful colours, well pigmented, easy to apply and blend, and they last fairly well. 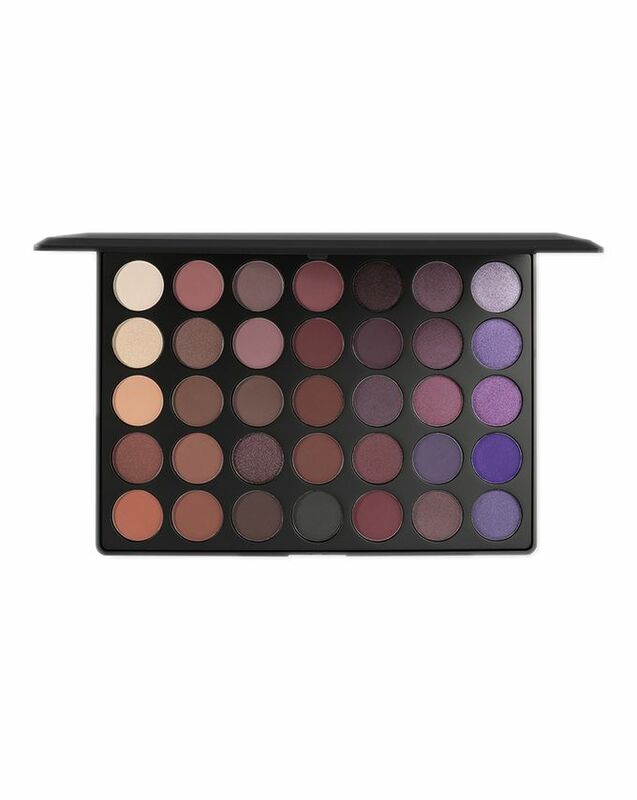 Looking forward to buying my next Morphe Palette. Really pretty packaging and was looks really high quality. However if you are a eye-shadow novice I would not recommend it as it is mainly dark shades and cool toned browns. It’s very good for what it is. I bought this palette whilst it was on offer on the Black Friday sale & wasn’t expecting too much tbh but I was very pleasantly surprised, it’s gorgeous! No photos I've seen of this palette does it justice. The colours are absolutely gorgeous both in appearance and performance and I use this palette as often as possible. If you love your purples then you will love this! So pigmented, blends effortlessly, perfect for everyday looks as well as going out looks. Stays on all day! I’m in love with this palette! Such a good palette for such a reasonable price. I highly recommend you buy this palette and other Morphe palettes, as they are such good quality shadows and shimmer shades. Whilst this product is not amazing it still definitely creates a lovely look on the eyes. The colours are beautiful and can create so many different combinations. However, that said, the eyeshadows are quite a tough one to blend at times and take a little longer to apply because of this. They also only last a few hours so it isn't good for an all day look. Great value for money though, got what you'd expect for an eyeshadow for that value and perhaps a little better than others of the same value. Llegó muy rápido, una semana. Me encanta y los colores hermosos. Repetiria My order arrived very fast, a week. I love these beautiful colors. Would repeat buy. This palette has so many amazing shades that you could never run out of different looks to try. They blend really well and are very pigmented. Definitely recommend! such a good price for what you get, I wanted the 35O palette (don't we all) but of course that's perpetually out of stock everywhere so I decided this was next best and I absolutely love it. It can do everything from naturals, to neutrals to dramatic colourful and smoky looks. very pigmented and blendable, 100% recommend. Don't worry if you still can't get the 35O! 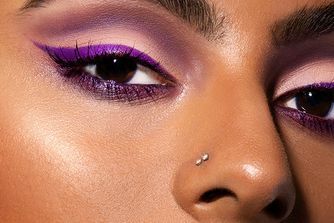 This palette is so amazing, I was skeptical about the bright purples however like 'Dessytalks' says, there are so many looks which can be achieved. I use this palette every day with no hesitation. I love this palette! The shadows have very good pigmentation and blend easily. Even though it looks like there is not enough variety of colours, you can do many different eye looks. I love it! Very nice palette bought for a friend and she is in love. Love. These colours are beautiful and very pigmented would recommend. Omg! This palette is super gorgeous! 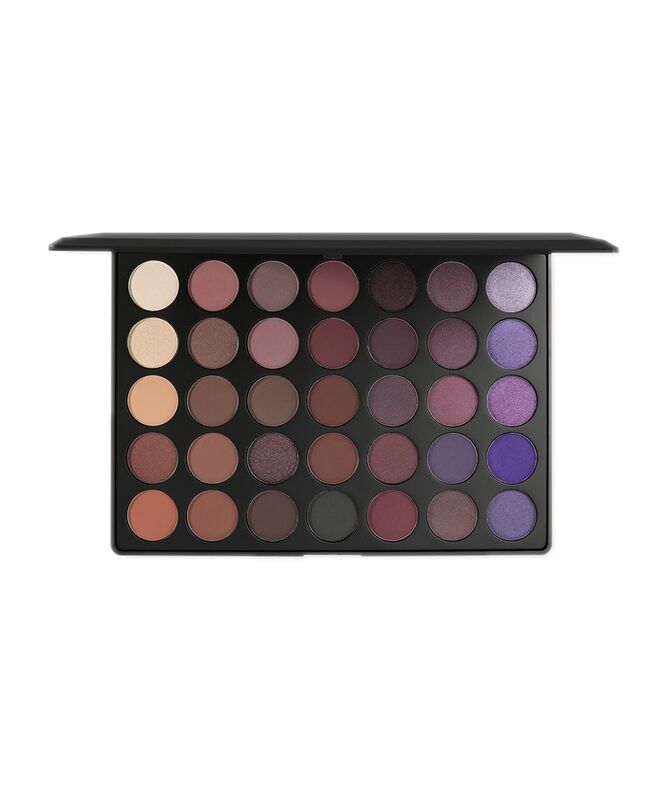 So big and featuring such flattering shades... the purples are stunning!!! I feel afraid to touch it since it's really too beautiful! I loved how this palette came all wrapped up I can't wait to play around with it. I received my delivery yesterday and couldn't wait to open it, I was really impressed by the quality of the shades and ended up being blown away by the formula of a couple of the duochrome shimmers, I was however, a little disappointed there were not more matte purples. There are some nice purple shades on the far right but only one matte purple. The rest of the palette is browns and taupes. I would have liked a few more matte lilacs, fuschias and violets. Too many of the same browns in here too. But I don't regret buying it as the few amazing shades are well worth the sacrifice! So pigmented and you can create so many looks. Perfect. My first baby and I'm sooo obsessed. So pigmented and you can create so many looks. Perfect. Ive read great reviews of morphe products, but I was disappointed with this. Of course its cheap but it doesn't compare to some of the shadow palettes I own (Urban Decay, Illamasqua, Huda palette, Nars dual intensity, KvD metal matte). The formula was slightly better than a drugstore shadow, with shimmers performing well but mattes were muddy and hard to blend. The Zoeva palettes are much better for a mid-range price. Nice pallet for the money but not the creamiest of formulas, it takes a bit of work to blend it in. Some of the colours are better than others for example the black one is terrible but most of the browns are nice and pigmented. A perfect combination of neutrals and more dramatic shades. Good quality and amazing price. Highly recommend it! Only a few shadow are "buttery". Nice but the colors are less bright than in the picture.